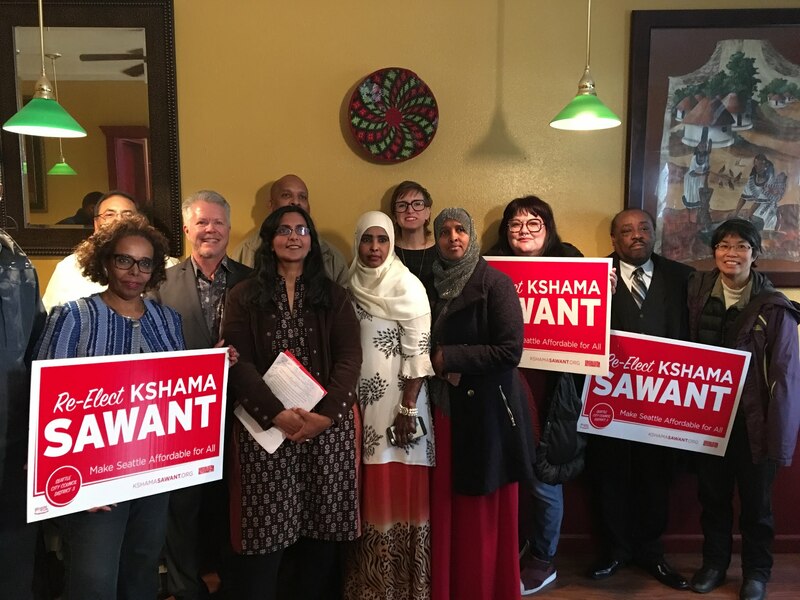 As we launched my socialist re-election campaign for Seattle City Council last week, we did so in a very different political context than when I was first elected as a Socialist Alternative candidate in 2013. Since then, U.S. politics have entered into a period of growing political and social upheaval in which interest in socialist ideas has rapidly developed. Bernie Sanders’ 2016 presidential primary campaign made “socialism” the year’s most searched-for word online, and his identification as a democratic socialist inspired millions of young and working-class people to seek an alternative to the pro-capitalist political establishment. More recently, Alexandria Ocasio-Cortez has pushed excitement in socialist ideas to a new high with her proposals to tax income over $10 million at 70% and create a Green New Deal to transition the country away from fossil-fuels while creating hundreds of thousands of living-wage jobs. More registered voters now identify as independents than either Democrats or Republicans. This trend is even stronger among young people with 71% of millennials saying they think the country needs a third major party to represent the interests of ordinary people. While this dramatic growth in support for socialist policies might seem surprising to some, it is a natural response to the declining living standards facing working-class Americans and the failure of capitalism to offer a future for young people. Nowhere in the country can a person working a full-time minimum wage job afford rent for a 2-bedroom apartment. Nearly half of all Americans would struggle to pay an unexpected $500 medical bill, and today’s college graduates will be paying off student loans well into their 40s. Combine this with the increasingly devastating forest fires and mega-storms wreaking havoc as a result of climate change and the appalling rise of far-right hate groups, and it’s not hard to see why ordinary Americans are desperate for meaningful change. For decades, Socialist Alternative has argued that to win policies that benefit them, working people need a political party that is accountable to their interests rather than those of giant corporations and the super rich. At the end of the day, elected officials whose campaigns and parties are dependent on big business for funding will go to great lengths to stay in their patrons’ good graces. This was clearly on display in Seattle last March. Democratic Mayor Jenny Durkan and the majority-Democratic city council called an emergency meeting to overturn the “Amazon Tax.” A modest tax on the top 3% of big businesses, it would have raised $40 million each year to fund the construction of social housing in the the face of one of the worst affordable housing crises in the country. Thousands of ordinary people, along with my office, had fought for it for months. Despite claiming that affordable housing was their number-one priority, the mayor and 7 of the 9 councilmembers caved to threats from Amazon to pull jobs and investment from the city and repealed the tax they had just unanimously passed. Almost a year later, the mayor and council have yet to even propose an alternative solution to Seattle’s housing crisis, and when my city council brought 11 different options to fund affordable housing last fall, the pro-corporate majority on the council voted against every one of them. Time and time again, these corporate politicians react immediately to the concerns of big business while cycling through a rote list of excuses of why they can’t act on the needs of ordinary people. 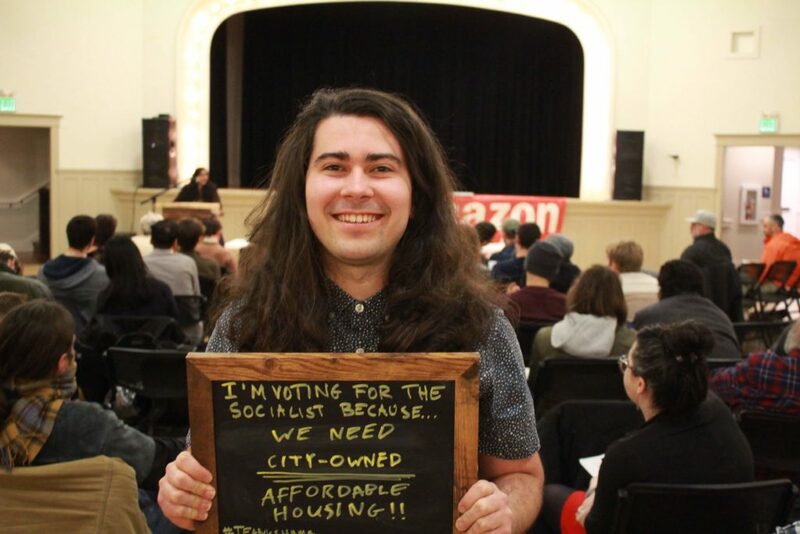 Seattle, like many other cities, is rapidly becoming a playground for the rich, while working people, small businesses, people of color, and LGBTQ people are being displaced out of the city. The for-profit housing market has clearly failed us. Seattle has been the national leader in number of construction cranes three years running, yet the crisis of affordable housing remains among the worst in the country. Meanwhile, skyrocketing housing costs and weak tenant rights laws have combined to lead to an epidemic of evictions. On average, one person in my district is evicted every other day, with communities of color experiencing the highest rates of eviction. We need to build tens of thousands of units of social housing, paid for by taxing Amazon and big business, to provide a public alternative to the broken private development system. And we need rent control to stop skyrocketing rents. Over the last six years as a city councilmember, I’ve seen firsthand the corrosive effects of corporate power and lobbyists in the back rooms of city hall. That’s why my campaign is not for sale. As always, I don’t take a dime from corporations, CEOs, lobbyists, or big developers. My campaign is fueled entirely by grassroots donations. Bernie Sanders, Alexandria Ocasio-Cortez, myself, and many others have shown this is possible. Accepting corporate donations is a clear sign to the business establishment that you intend to use your office to forward their interests – and they will expect results. Not accepting corporate money is only one way elected officials can use their campaigns and offices to empower ordinary people. Equally important is using your platform to help build the strength of grassroots movements fighting for progressive change. Over the years, my office has worked with activists and workers to build broad grassroots campaigns and win major victories around the $15 minimum wage, public housing, blocking a $160 million police bunker, tenants’ rights, among many, many others. Our annual People’s Budget events aimed at bringing the needs and voices of ordinary people into the city’s budget-making process has brought thousands to city hall for the first time, and has succeeded each year in winning funding for vital issues ignored by the corporate and political establishment. Instead of holding closed-door meetings with CEOs and lobbyists, I use my office to organize rallies, marches, protests, and community meetings, so that my office can be genuinely accessible and base itself on the power of working people. Because of this, I have earned the reputation of being “the only city councilmember who will listen to you,” and my office receives far more calls and emails from constituents than any other city councilmember – including from residents of districts other than my own. 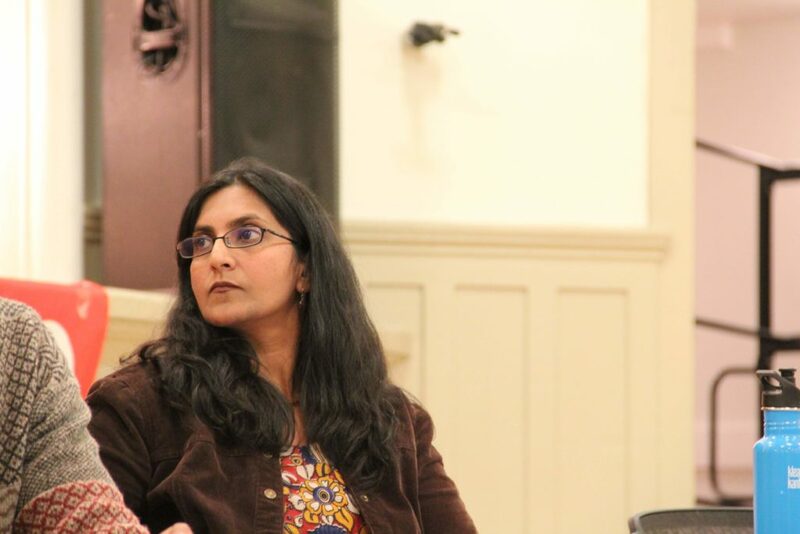 We will continue to fight relentlessly for the urgent needs of Seattle residents, but we must also urgently work to elect more socialists and working class representatives to city hall. While most working people in Seattle and across the country are struggling, we know that particular parts of the working class bear a disproportionate burden thanks to discrimination, harassment, and a systemic de-prioritization of their needs. 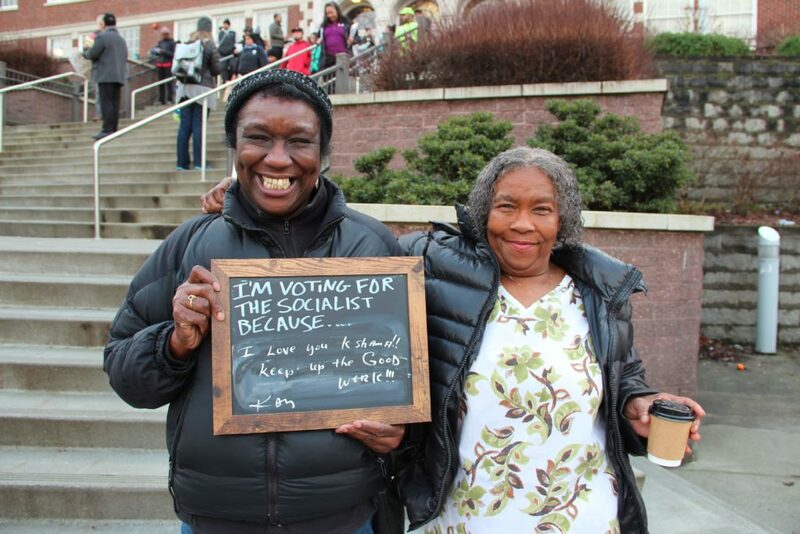 Empowering oppressed communities requires far more than lip-service during campaign season – it requires unambiguously fighting against racism, sexism, homophobia, police brutality, and all forms of discrimination while standing up against a political establishment determined to cut public services. Women, people of color, immigrants, indigenous people, LGBTQ people, and people with disabilities are disproportionately likely to lack safe housing, health care, and living-wage jobs. We urgently need change this to ensure all people have the ability to meet their basic needs. It’s a matter of life and death for millions. None of this will happen if we continue to allow public policy to be shaped by corporate politicians who accept the logic of capitalism – that big business must be appeased, and that progressive change must be cautious and incremental. We need socialist policies based on the needs of the working class and oppressed communities. While Seattle has its own features, it is equally subject to the dominant national and global political and economic trends. The gap between rich and poor is growing, the middle class is shrinking, corporations are growing in size and influence, and ordinary working people completely lack genuine political representation. We need to build broad, united mass movements around bold demands that reject the logic of compromise with the ruling class. These movements need their own candidates and representatives who reject corporate money and actively join in the struggles of ordinary people for a better life and different kind of society. The growing support for socialist ideas and willingness to participate in strikes and protests shows the huge potential to win bigger gains in the coming years, provided our movements are not deflected and demobilized by a political establishment determined to maintain the status quo. In my six years in office, I have shown which side I am on and how a fighting strategy can win historic gains. The fact that the political and business establishment will stop at nothing to unseat me proves the effectiveness of this approach. The impact of our movements has been felt nationally – this was shown when we made Seattle the first to pass a $15 minimum wage, and now the Tax Amazon movement is spreading to California, New York City, and beyond. In the era of Trump, we urgently need more examples of how working-class political leadership can work alongside social movements and prove where the real power in society lies – not in the back rooms of city hall or the bank accounts of CEOs, but in the millions of ordinary people who do the work that makes our society run.